Water heaters are an important appliance in most modern homes today. They are required if you want hot water for bathing and showering, for cooking and drinking, and for cleaning and preparing beverages of various types. Are you searching for water heater repair in Costa Mesa? If you need a repair job on your water heater and live in or near Costa Mesa, we can help. 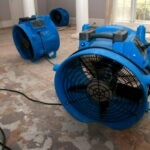 Tweedy Plumbing & Restoration has the best and most professional plumbing service in Costa Mesa. There are many plumbing services, contractors and companies in the Costa Mesa, California area. Our service area includes the cities of Irvine, Newport Beach, Laguna Beach, Corona Del Mar, Newport Coast and Huntington Beach. Because our service vans and trucks are fully stocked with tools and supplies, we can respond to our customer’s needs quickly. We don’t have to return to a distribution center for parts or tools while you are in an emergency situation. Our expert services include repairing various elements of water heaters and their operation. There can be small leaks in the lines which allow H2O to escape from the appliance and create a hazard in your heater hook up. There are numerous parts in your heating appliance and in the hook up which connects with the rest of the household systems. The heating element, insulation and outer casing of a standard heater can all malfunction and need fast attention to avoid astronomical utility costs. The use of a heating unit tank in a household represents one of the largest utility costs. In part, this is because of the household needs for hot H2O at certain times of the day, depending upon the usage patterns. During other hours, there may not be as much need for keeping the delivered waters at the proper temperature. Modern technology is able to recognize usage patterns and supply the plentiful hot H2O flow at the time when it is most needed. The quality of the H2O delivery is another factor which can affect the satisfaction with a particular heating unit. This can include response time and even whether or not your supply of H2O must be treated before being used for certain tasks in the household. The footprint and layout of the entire system in the home or business is another aspect of satisfaction with the heating equipment unit. We have the knowledge and experience to repair all types of models and brands with equal efficiency and accuracy. Designing an appropriate system for any customer is something best done by professionals. Our team members can look at the needs of the particular household in order to determine the best placement of two smaller heating units so as to avoid extensive cooling between the heating unit and the end user. The size of the unit, as well as its placement in the home or business, can make a great deal of difference in the effectiveness of the heating unit. When you need information about water heater installation in Costa Mesa we can help. Call us at 949-645-2352 to schedule a service call today! 2019 Tweedy Plumbing & Restoration. All rights reserved.